Joule’s Brewery is set to expand after securing a new £1m financial package from The Co-operative bank. 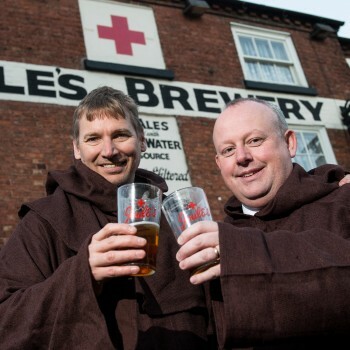 The funding means that the Market Drayton based brewer will increase the number of its pubs, which currently span across Staffordshire, Shropshire, Cheshire and Wales. Joule’s beer was first brewed by Monks in 1780, but was discontinued in 1974 before being resurrected in 2010. Managing director Steve Nuttal, was behind the revival and the brewery now runs 17 pubs. Nuttall said: “Joule’s strong traditional values are key to our success. Our public houses are old style English pubs like those that have served communities for centuries. ”Whilst many pub chains have been hit hard by the downturn, Joule’s bucks the trend and shows how we are giving the public what they want. It’s all about the simple things in life – really good beer, good food and really stripped back and uncomplicated interiors in lovely historical buildings. Daran Harding, Business Development Manager, at The Co-operative Bank’s North Midlands Corporate Banking Centre, said: “We’re delighted to be providing further support to Joule’s Brewery which continues to go from strength to strength. Joule’s was recently awarded the National Pub Design Award’ by Camra (Campaign for Real Ale) and English Heritage for its Red Lion Tap House in Market Drayton. The award cited the pub as one of the “best examples of refurbishment and conservation of public houses”.